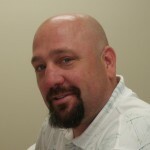 Steve is a licensed Physical Therapy Assistant (PTA) in Virginia and North Carolina. As a PTA, he provides physical therapy treatments under the supervision of a licensed Physical Therapist. Steve joined the team at Danville Orthopedic & Athletic Rehab in 1999. Outside of work, Steve spends time renovating his house and spends time with his daughter. Steve is a veteran of the United States Military. He is an alumni of the local rugby club, and can still be found in the crowd each year at the Duke MBA World Rugby Tournament in Danville, Virginia.